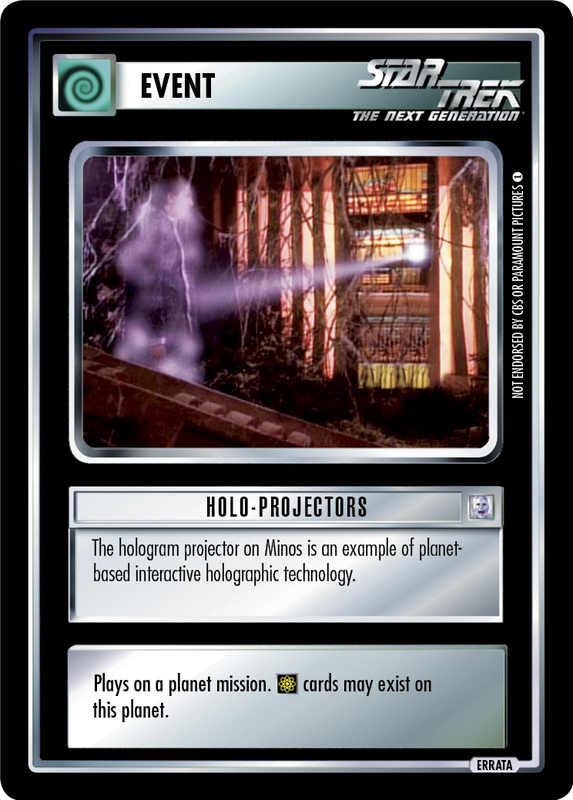 The hologram projector on Minos is an example of planet-based interactive holographic technology. 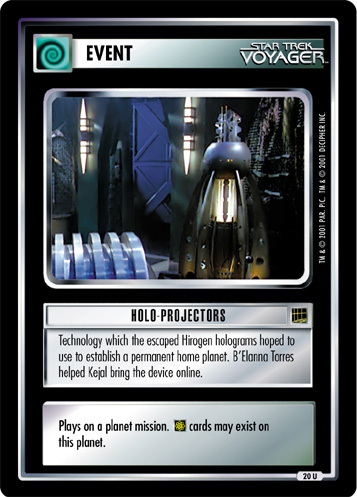 Plays on a planet mission. 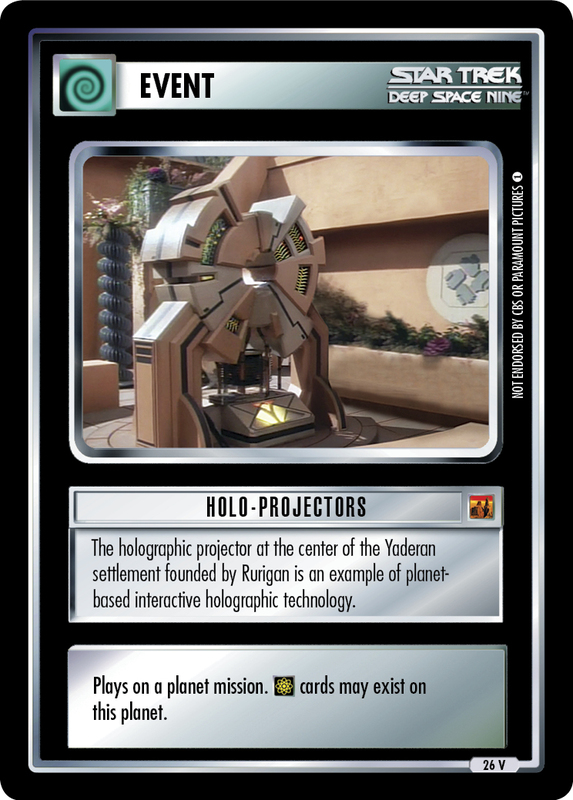 cards may exist on this planet. Image Source: The Next Generation: "The Arsenal of Freedom"